The perfect snack for a nice fall day! Before I talk about how to make Vegan Coconut Apple Spice Cake, allow me a little blathering. I try to post a new recipe once a week, and usually on the weekend. However, this past week I’ve been recovering from some medical stuff and have been napping extra much to recover my strength. All of which is to explain why this week’s post is a few days (cough*week*cough) late! It’s also a particularly easy recipe, and vegan to boot! Whether you’re eating a plant-based diet because it’s healthy, or because it’s easy to make from pantry ingredients, I definitely recommend this recipe for some easy, healthy, and (very importantly) TASTY fall flavour! 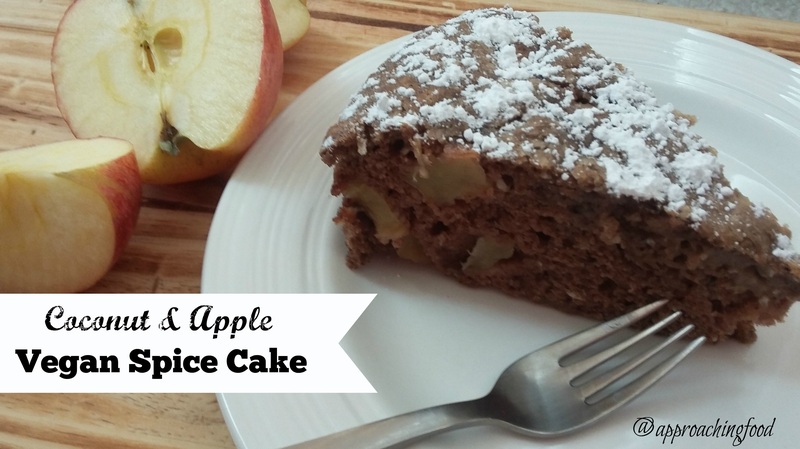 I took my basic vegan spice cake recipe and added apples for some extra nutrients and because it’s apple season right now, here in Ontario, Canada. I also added in some coconut, just to change up the flavours a bit, and also because I had some in my pantry that I wanted to use up. And voila, Vegan Coconut Apple Spice Cake was born! This snack cake is easy to bake, freeze, and pack for lunches. 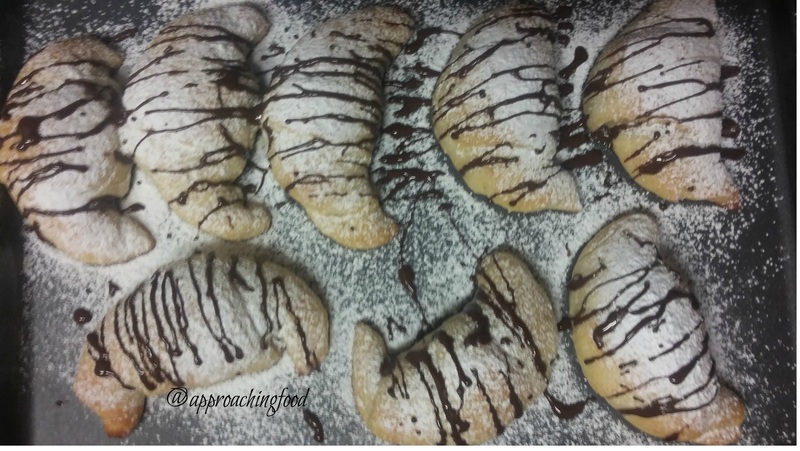 It’s also delicious sprinkled with icing sugar and served with tea, if that’s your jam. You can make it in a cake pan and serve it in wedges, bake it in a square pan and serve in square pieces, or even bake it in muffin cups for a grab and go breakfast that’s guilt-free. It’s super-versatile, in other words. Let’s get to making this delicious snack cake! It took me less than 15 minutes to mix up the batter for this cake and pop it in the oven, including the time to peel and chop the apples. Easy peasy apple squeezy, right? This means it’s easy to mix together on a weeknight. Or weekend. Or basically, anytime. Let there be cake! 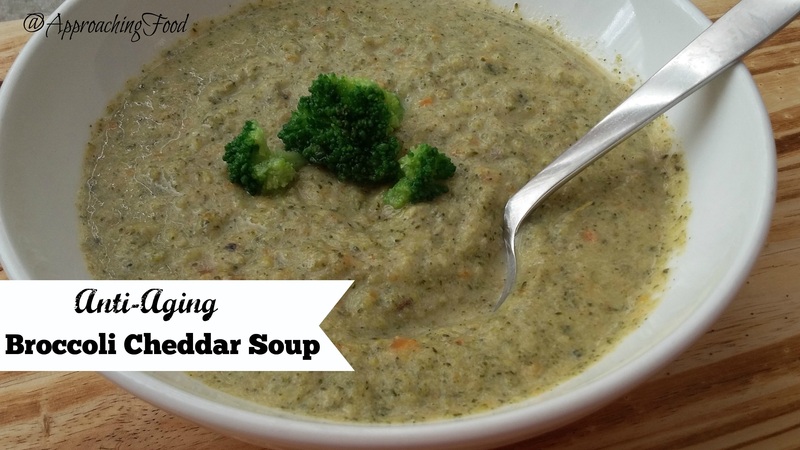 Next Post: I’ve been making multiple batches of broccoli cheddar soup lately, so I think I’ll share my reduced fat recipe with you! It’s extra-full of vitamins and taste but lower on the fat. Guilt free yumminess, woohoo! 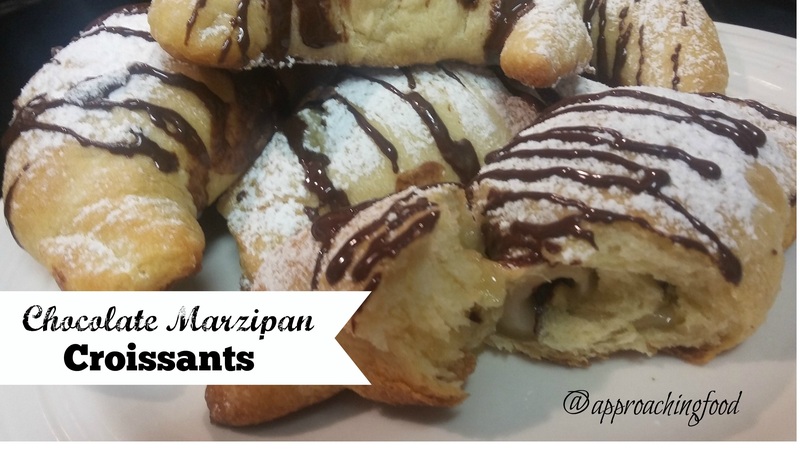 This entry was posted in Cakes on October 16, 2017 by Margaret. Plant lady is the new cat lady. Intrigued? Read on! 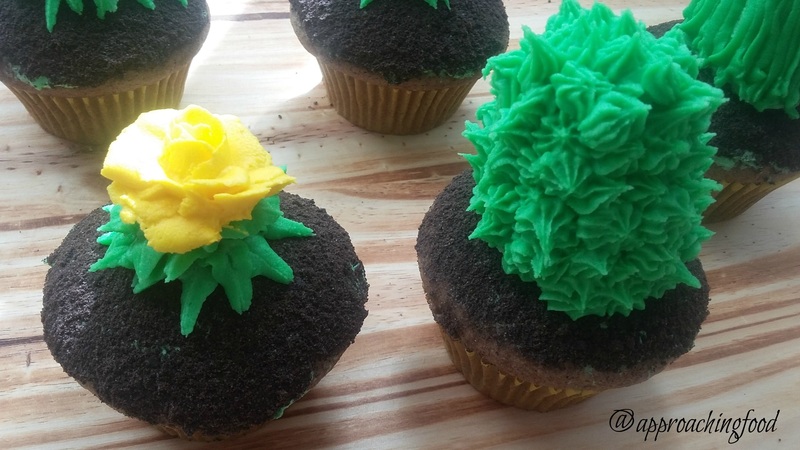 I love cupcakes, I love buttercream, and I love a good challenge in the kitchen, so when I saw a picture of some Cacti Cupcakes recently, I thought “I can do that!” And decided to craft my own version. So yes, that’s this week’s recipe! 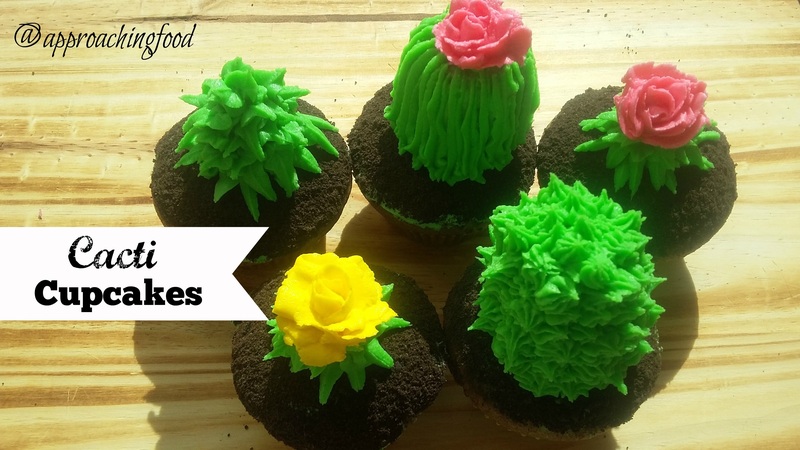 Easy Cacti/Succulent Cupcakes! To be specific, spice cake cupcakes with coconut buttercream frosting. Yum, yum, YUM!!! I read somewhere recently, that “Plant lady is the new cat lady”, and a) burst out laughing and b) was struck by the truth of it. What am I talking about? Well, lately it seems that succulents are all the rage with the younger (or youngish) crowd. If you are on Instagram (or Insta, as the young’uns say, IG for short), you can’t get away from all the photos of succulents, especially in geometric shaped planters. There’s a ‘hens and chicks’ succulent pic here, a ‘mother of thousands’ succulent pic there…and then a ‘wandering dude’ plant in the corner, just to round things out. I’m young enough that I follow trends in things like nail design (I just got my nails did, in a glamorous yet impractical almond-tipped shape), but old enough that I’m more of a cat lady than a plant lady, despite the many plants I have in my home (although to be honest, while succulents are trendy now, cats are kind of universal and will never fall out of fashion. Who doesn’t love a purring kitten?). Nevertheless, I jumped on the design trend, and decided that I wanted to try crafting some cacti in buttercream. My faves! Wilton tips 352 and 104. Bake the cupcakes and let cool. Frost the tops lightly with frosting, and press the iced tops into a bowl of the cookie crumbs, making sure all the buttercream is covered in crumbs. Congrats, you’ve just created the Mojave dessert in cupcake form! Take two spoonfuls of buttercream and place them in a bowl with two drops of pink food colouring and mix to create the pink buttercream that you will be using for the pink flowered cacti. Then do the same with yellow food colouring to create yellow buttercream. With the remaining buttercream, add enough green food colouring to create the shade of green that you want. Now, you can decide which cacti/succulents to make. Wilton tips 7, 352, and 104. For the spiky tipped cacti, take an ice cream cone, and cut it into two horizontally, where the cone widens. Place the bottom of the cone upside down on a cupcake, and place the top of the cone on top (it will drop down, forming a ring around the base). This gives you a shape to pipe onto, because if we tried to create the entire thing from buttercream, it would be too heavy to support itself (and also, that’s too much buttercream for anyone, even ME!). Using Wilton tip 7, pipe little spikes all over the ice cream cone shape, until the entire thing is covered in little spikes. BAM! 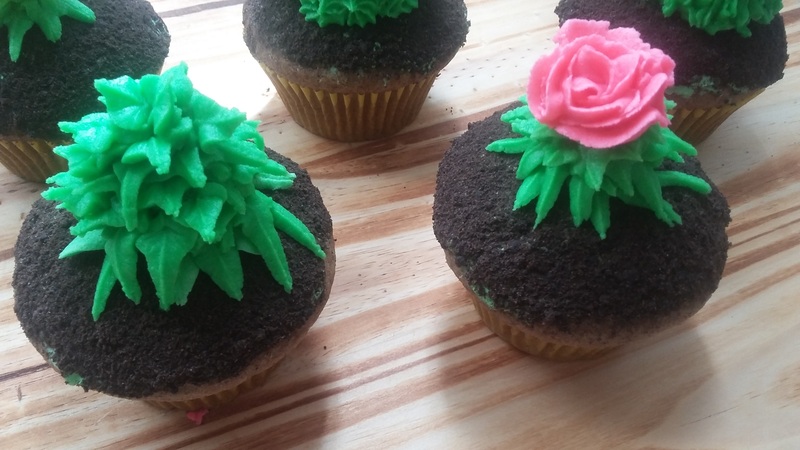 You’ve just created a buttercream cacti, yo’! You be talented! For the flower-topped cacti, use Wilton tip 352, and little spiky leaves in a large circle (not touching in the centre) and then build up layer after layer of leaves on top of each other, each layer in a slightly narrower circle than the previous one, until you’ve created a little plant. To make little flowers, just google ‘how to pipe an icing rose’ on youtube, and you’ll see a million and three videos just like this one. Try making a flower yourself using tip 104 — they’re super-easy, and look super-fancy! The tutorials usually tell you to use a piping nail, but you could use a very small metal bowl turned upside down, or even just a small square of parchment paper. The piping nail makes it easier, but it’s not crucial. Once you’ve made the flower, place it on top of your succulents, using a pair of scissors (what a weird, yet useful, technique, yes?). You can see this technique in the video that I’ve linked to, just above. Such a pretty cupcake, yes? To make the long-lined cacti, take the bottom half of a ice cream cone (using the same cutting technique as before), and ice lightly in green buttercream. Stick on top of a cupcake. Using the same Wilton leaf tip (352) that you used before, angle the tip and pipe thick lines all the way up and down the cone. Then top with a flower. Now that’s a tasty cacti! If you’ve never used piping tips before, they’re honestly not as intimidating as they might seem. I encourage you to pick up a few and play with them! 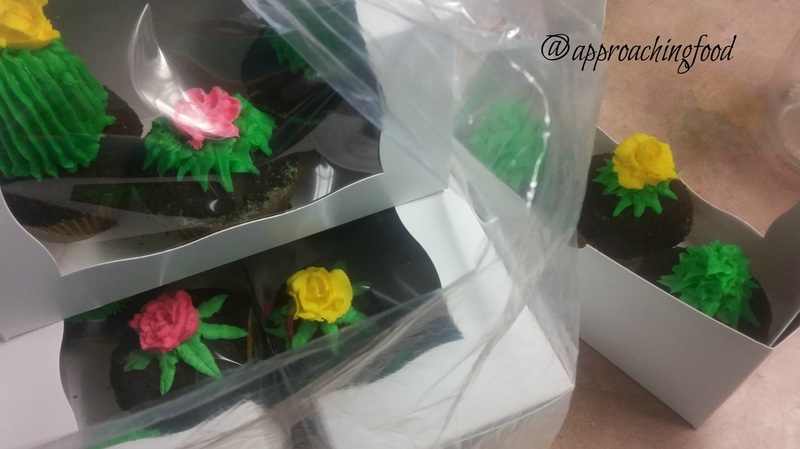 You’ll find that they up your cupcake game, and garner you lots of compliments! Kitchen Hack: If you don’t have piping bags, you can create a temporary one by reinforcing a Ziploc baggie with packing tape all over to reinforce the seams. (I tried it first without reinforcing the seams, and WHOOSH! Buttercream all over my hands. Learn from my mistake and reinforce the baggie.) Cut the tip off of a corner and place a tip inside the baggie, with the pointing end of the tip just coming out of the corner that you snipped. Et voila! You’ve successfully hacked yourself a piping bag! Next Post: Hmm. How about a Coconut Apple Spice Cake recipe? Or should I save that for later, and do something hearty to balance out my buttercream posts? Let me know in the comments! This entry was posted in Cakes on October 1, 2017 by Margaret.